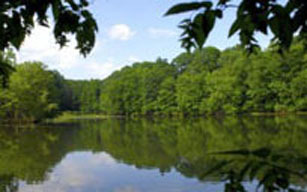 Blue Mountain Reservation is a 1,538-acre park in the northwest section of Westchester County. It was acquired in 1926. It features miles of trails for mountain biking, strolling and nature study, and offers challenging hikes to the tops of two large peaks, Mt. Spitzenberg and Blue Mountain. Also located at the park is the Sportsman Center, a recreation facility offering target ranges. The Blue Mountain Trail Lodge is available for rental by groups and sleeps up to 30 people dormitory-style, and includes showers, a kitchen, and a dining hall with a large fireplace. For information, call (914) 231-4575. 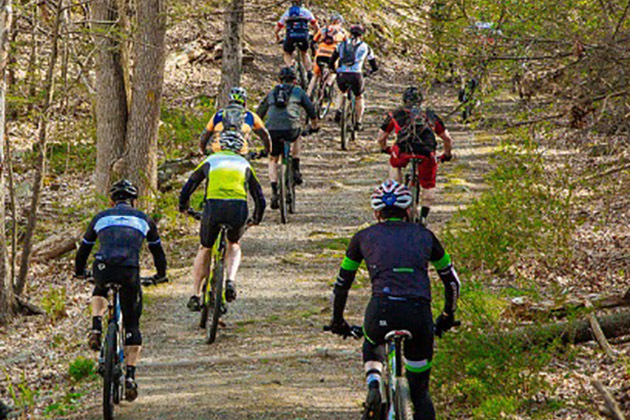 The 12-mile Briarcliff-Peekskill Trailway, an unpaved trail for hiking, is accessible from the Blue Mountain trail system. The park contains a bathhouse and trail lodge, as well as two historically significant comfort stations. These comfort stations were built by the Civilian Conservation Corps and are reminiscent of early 20th century National Park structures. Parking: $5 with Park Pass, $10 without Park Pass -- weekends only in May and September until Sunday, Sept. 29. Daily 5/25 through Labor Day. Dogs must be leashed. Service animals welcome.